It’s Friday, which means we are over at Kirkus! 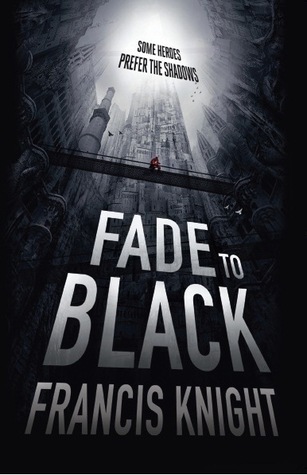 Today Ana is reviewing a highly anticipated title: Dark Fantasy/Noir Fade To Black by Francis Knight. First of all: NOT a superhero novel like Ana thought (naughty, naughty misleading cover). And unfortunately this is yet another dud for Ana. Go HERE to read why. Whyyyyyyyy? When you got the to spoiler mentioned in your review, did you throw the book across the room? Simply reading the spoiler tempted me to throw something but, luckily, I restrained myself since what I had on hand was my laptop. After reading Ana’s review my wish to read FADE TO BLACK dropped to zero. Normally I do not like spoiler in a review. But in this case I highly appreciated the spoiler because it gave my the final argument to move the book from my 2013 wnated books list.